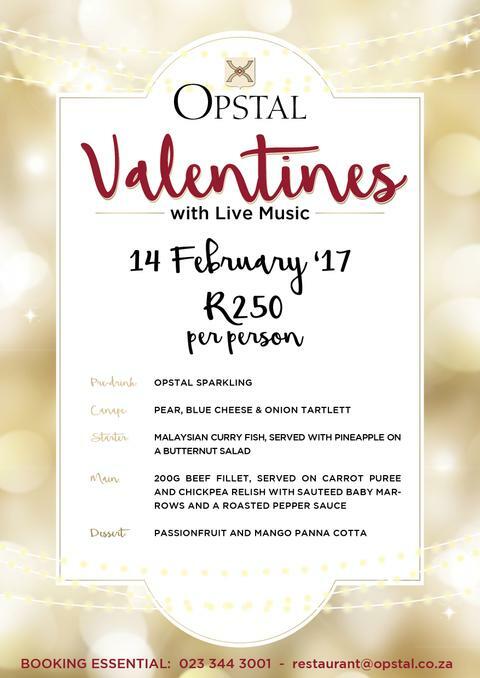 Come and woo your loved one this Valentine’s Day at Opstal! • Introducing Opstal-Uber, a suttle service to and from Worcester at no additional cost. • Live music: Wear your dancing shoes! Treat yourself and your partner, family member or friend to a glass of Opstal Sparkling with a pear and blue cheese onion tart as a canapé. As a starter our chef, PJ Lombard, is serving Malaysian curry fish with a pineapple and butternut salad followed by beef fillet as the main deal. To complete your dinner look forward to passionfruit and mango Panna Cotta as dessert. 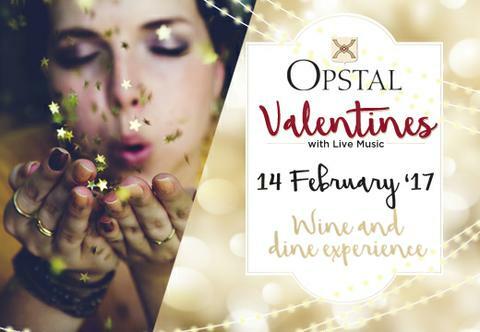 For enquiries and to book your spot at our event in the beautiful Slanghoek event, e-mail restaurant@opstal.co.za or contact us at 023 344 3001.